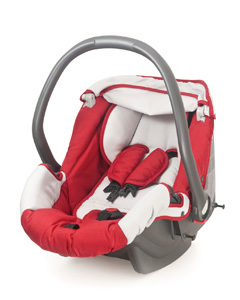 story by Samantha WittchenFACT: Americans are estimated to buy as many as 12 million car seats a year. PROBLEM: Kids outgrow car seats, and the seats have expiration dates (usually five to six years after manufactured), as the materials eventually degrade from ultraviolet light exposure. So, parents generally buy multiple car seats for their children during the period when they are required by law to use one. These seats are made of plastic, metal, foam and fabric that could be recycled if the seats are deconstructed. Yet most car seats end up in a landfill, and there are only a handful of programs nationwide that accept car seats for recycling.